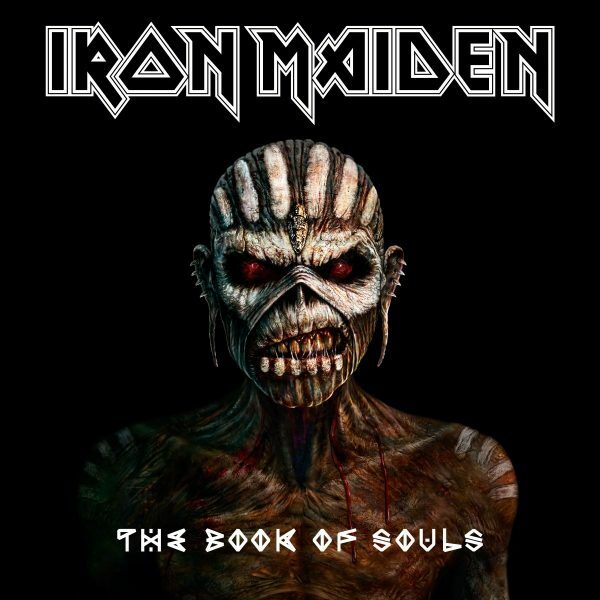 IRON MAIDEN CONFIRM BOOK OF SOULS EUROPEAN TOUR; WITH ONE IRISH DATE! Stop everything!! The mighty IRON MAIDEN have confirmed a selection of European dates as part of their hugely successful ‘The Book of Souls World Tour’ and there is one exclusive Irish date! Get the full details below. 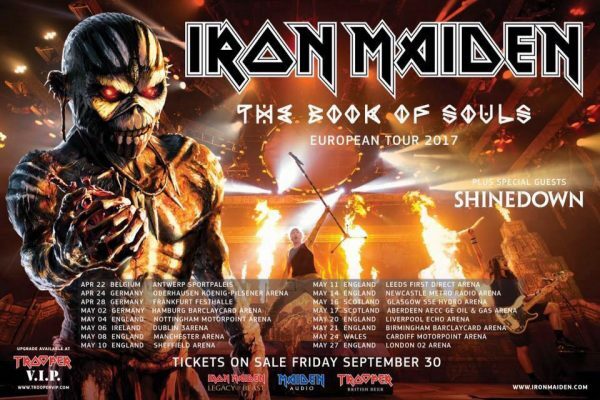 IRON MAIDEN continue their hugely successful ‘The Book of Souls World Tour’ into 2017 with a series of European arena shows opening in Antwerp, Belgium on April 22, Maiden’s first visit to this city since 1981 on the Killers Tour! The band then travel to Germany for shows in Oberhausen, Frankfurt and Hamburg before heading into the UK and Ireland for an extensive series of concerts in May including a return to Dublin, their first visit here in seven years, for a date at the 3Arena on May 6. 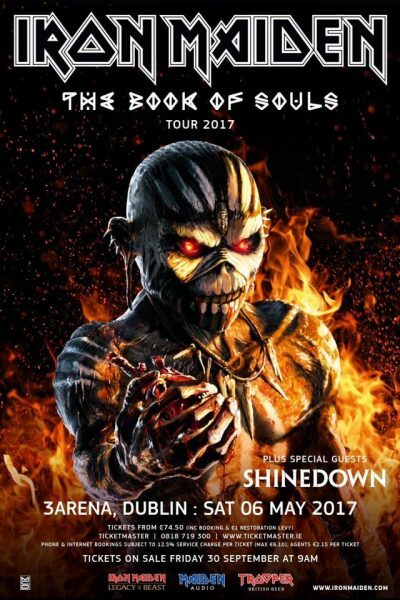 Tickets for IRON MAIDEN with support from SHINEDOWN will be on sale from Tuesday, September 30th via Ticketmaster and Sound Cellar from €74.50 (inc booking fee). Please check with MCD Productions for all the latest. As usual, there will be an exclusive pre-sale for IRON MAIDEN Fan Club members, details of which can be found on www.ironmaiden.com along with information on how Fan Club members can participate in the draw to be “First To The Barrier”.